We're so excited to tell you that Magical Scraps Galore has a new shop at THE DIGICHICK, and she's having a storewide sale to celebrate! 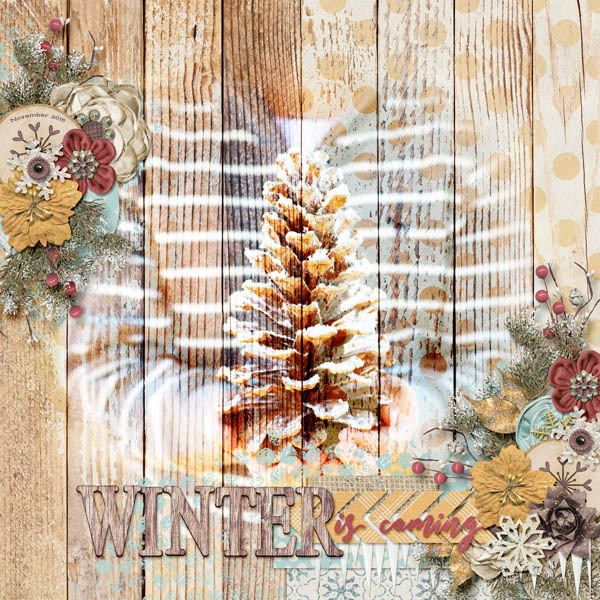 In warm wood tones and icy blues, Snow in the Woods is a fun wintery kit filled with woodland animals, icicles, pine cones and evergreen branches, perfect for documenting all your outdoor winter memories. Find the full collection at 58% off -or the individual kit and add-ons at 30% off- through Tuesday midnight at GingerScraps, Scraps N Pieces and The Digichick.